Image caption Burnley Council leader, Charlie Briggs, said it was going to be "very tough"
More than a third of Lancashire's councils will suffer the biggest cuts in government grants in the country. The five local authorities, Pendle, Preston, Hyndburn, Burnley and Blackburn will see 8.9% wiped off their budget in the next two years. In Monday's announcement, Communities Secretary Eric Pickles told the House of Commons front line services should not be affected by the cuts. Burnley Council leader Charlie Briggs said: "It's going to be tough." Elsewhere in the county, Fylde Council was facing a reduction of 5.7% to its core central funding and South Ribble would see its budget cut by 5.9%. Blackburn with Darwen's chief executive Graham Burgess said it all seems "very unreasonable". "It's no coincidence that Burnley, Hyndburn, Pendle, Blackpool, Preston and Blackburn are the hardest hit in the country. "The 40 poorest parts of the country have been hardest hit and the 40 richest parts in the country seem to be hit the least - that just seems very unreasonable to me. "This looks to be the harshest settlement we have ever had to deal with. "Despite the government's attempts to soften the impact, some towns with added challenges like Blackburn, Darwen and many of our Pennine Lancashire neighbours, are going to be facing much bigger cuts than others. "Over the next two years we expect to face cuts of at least £27m. "We have been preparing for the worst and this will help us get through," he said. 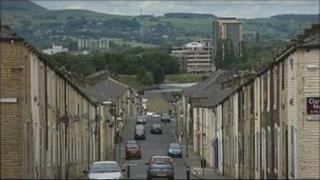 Ministers promised a "new democratic settlement", with more money being found to help deprived areas. A spokesman for Communities and Local Government said: "Those local authorities who rely on more funding from the government will see they receive much more per head than those less reliant on central grants. "Those needing the most help from government will continue to receive adequate funding." Labour called the cuts "devastating" and warned some crucial services will "just fall off the edge".